Terra Glamping offers a "camping" experience fit for primadonnas, complete with hot showers, memory foam mattress and flushing toilets. 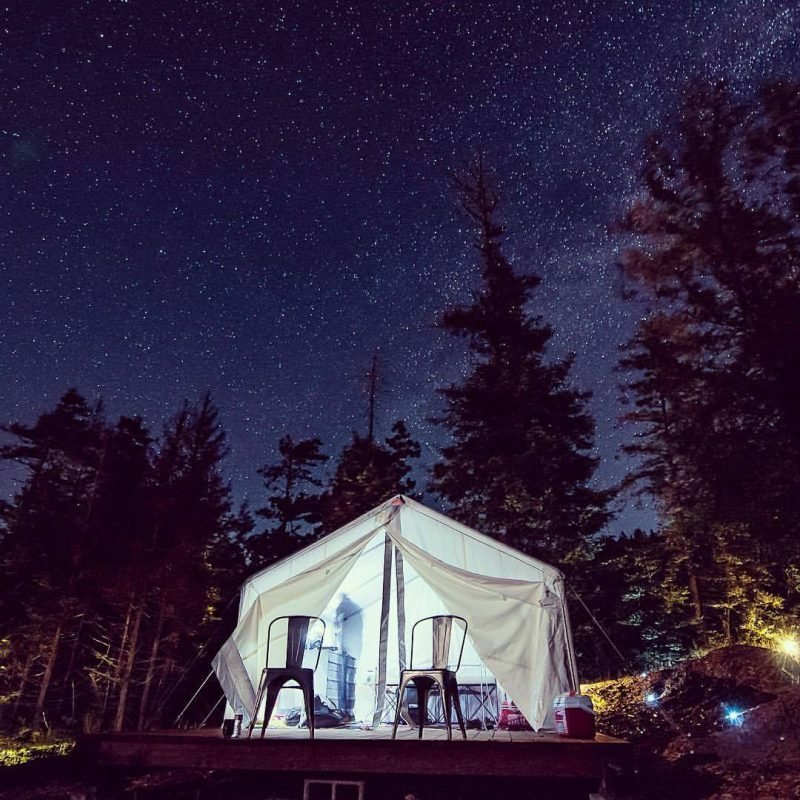 Each tent has a patio for reading, relaxing, whalewatching or stargazing. The property has ten safari-style tents all with ocean views. Each tent features a memory foam bed with quality bedding and hotel-style furnishings. 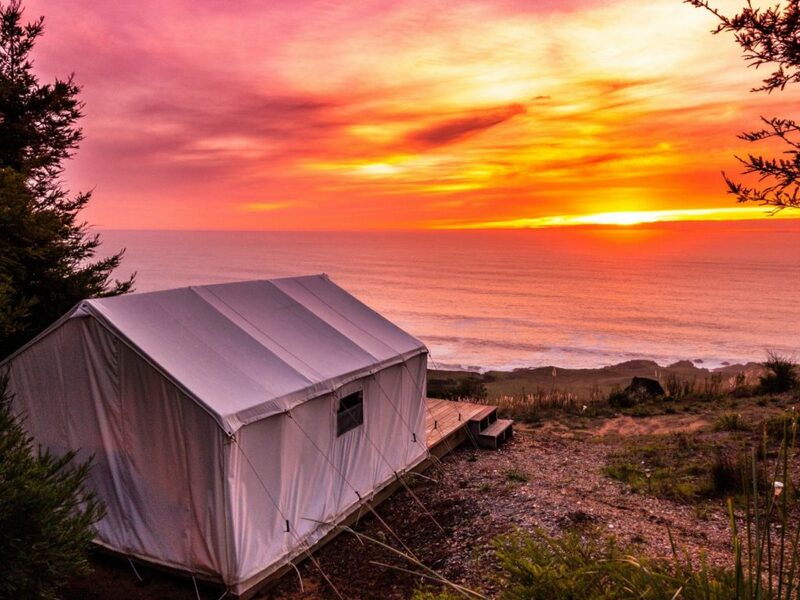 Terra Glamping offers a luxury camping experience on the Sonoma Coast. Imagine this: you return to your campsite after a long hike along oceanside trails ready for a nap. However, there is no sleeping bag in your tent. Instead, there is a bed with a memory foam mattress and down bedding. 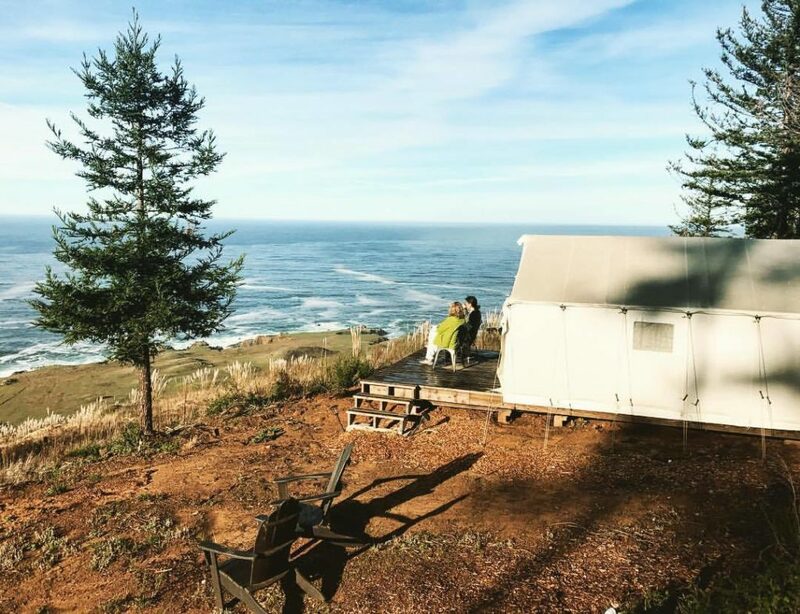 That’s what naptime is like at Terra Glamping on the Sonoma Coast. 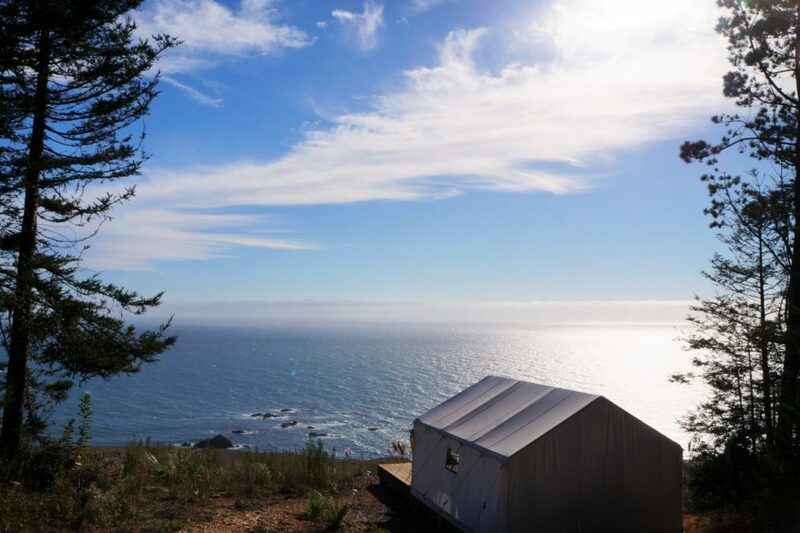 Nestled just off of Highway 1, near Sea Ranch, the property has ten safari-style tents, all with ocean views and porches, allowing for whale watching, stargazing, bird watching, or just drinking a beer and watching the world go by. Hiking, golf, and horseback riding are some of the many activities that the area offers, and nearby Gualala has a handful of art galleries showcasing Sonoma County artists. Or head on a scenic drive to Annapolis Winery (707-886-5460; 26055 Soda Springs Rd.) to grab a bottle of Zinfandel for sipping over campfire s’mores in the evening. You can still enjoy the fun of “traditional” camping: bring a cooler full of your favorite drinks and use the on-site pop-up kitchen to prepare your campsite foods. Not a campfire cooking type? No problem. 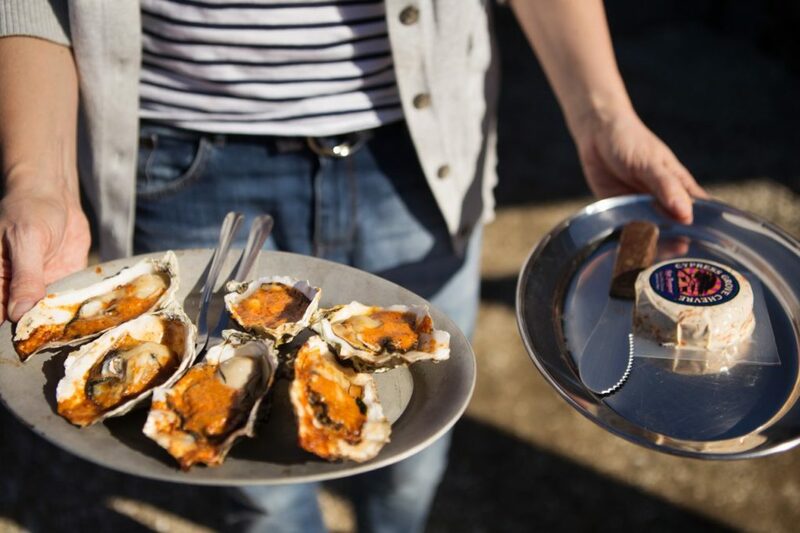 Head to Gualala to dine at the eccentric and romantic St. Orres (707-884-3303; 36601 CA-1) or to Sea Ranch for a bar bite and beer at the Black Point Grill (707-785-2371; Sea Ranch Lodge, 60 Sea Walk Dr.). For the primadonna’s in the crowd, don’t worry – there are hot showers and flushing toilets. But, you won’t have wifi, only cell phone service, so use it as a good excuse to unplug and enjoy the scenery. If you need a little extra luxury, reserve an oceanside massage. 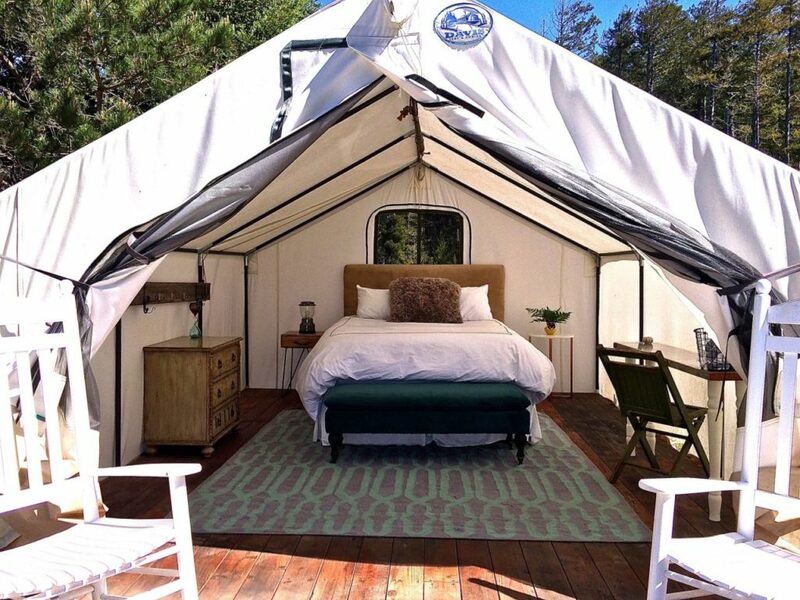 For more glamping experiences in Sonoma County, click here. 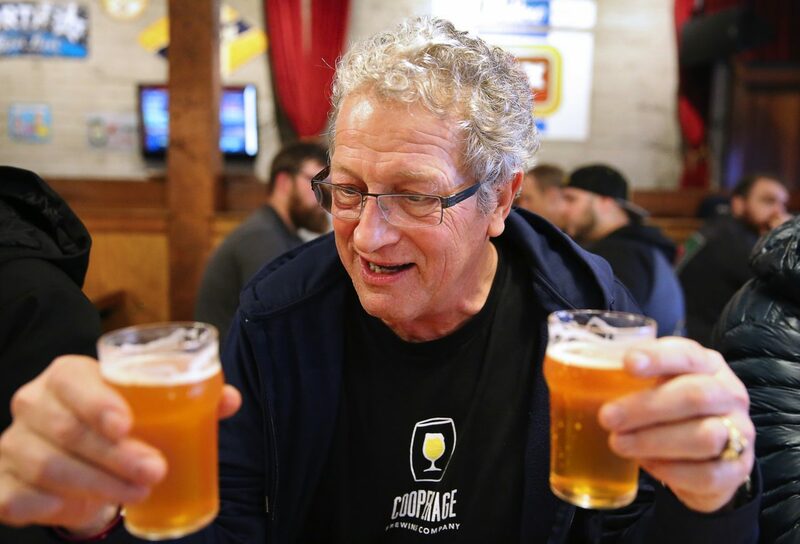 Nothing says “I love you Dad” like a day spent with family - beer in hand.